After long bouts of chronic knee ailments, tennis star Rafael Nadal’s camp confirms knee stem cell treatment. Nadal has missed many tournaments and parts of seasons with knee problems. 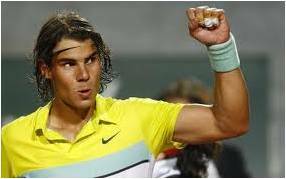 Nadal has been reported to have undergone Platelet Rich Plasma (PRP) in the past. PRP has been used by many professional athletes with knee problems. Stem cell treatments are now being discussed with professional athletes. Nadal joins professional football player Peyton Manning as superstars who have undergone stem cell treatments. Stem cell treatments offer certain advantages to PRP, as PRP does not contain stem cells. Stem cells are known to exert anti-inflammatory and reparative or regenerative capabilities by forming new cartilage cells in joints, and by promoting repair as opposed to tissue breakdown. Dr. Lox frequently is consulted for patients who have had knee meniscal surgery and failed to improve, including professional athletes. Imagine being a professional athlete being diagnosed with a knee meniscal tear, having surgery, failing to improve, and then being cut by your team. Dr. Lox has seen this scenario in professional Baseball and Football players. Dr. Lox subsequently treated their failed knee surgery with stem cells and they later returned to professional sports.